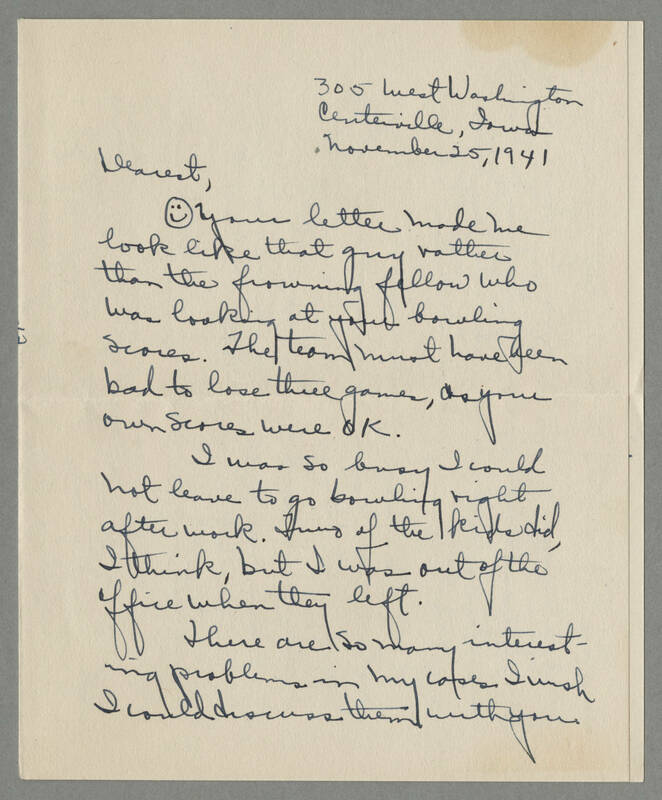 305 West Washington Centerville, Iowa November 25, 1941 Dearest, [smiley face] Your letter made me look like that guy rather than the frowning fellow who was looking at your bowling scores. The team must have been bad to lose three games, as your own scores were OK. I was so busy I could not leave to go bowling right after work. Two of the kids did, I think, but I was out of the office when they left. There are so many interesting problems in my cases I wish I could discuss them with you.